QPSK Modulator and UHF Up-converter, supports DVB-S2, DVB-S & DVB-DSNG. Modulation of Transport Stream from an external source via an ASI input. 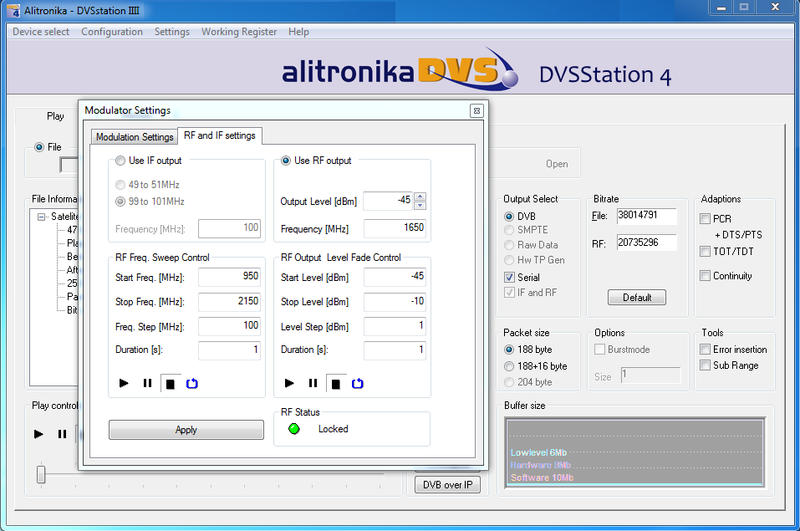 Development Tools for DVB-S2/S Receiver R&D. 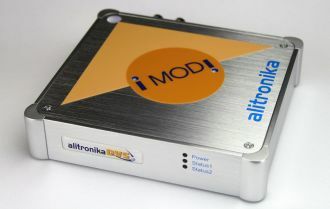 Stand alone QPSK signal generator for Test & Validation. DVB-S2/S output for OEM product. IF Output Frequency:49-51 MHz or 99-101MHz adjustable in 1Hz steps. IF Output Power over bandwidth: -10dBm. RF Output Frequency Range:950MHz to 2150MHz. RF Output Power over bandwidth:-10dBm to -45dBm, adjustable in 0.5dB steps. DVB modes: DVB-S and DVB-S2. Spectral modes: inverted and non-inverted. FEC Code Rates: 1/2, 2/3, 3/4, 5/6 and 7/8. Symbol rate: up to 45 MSymbols/s. Bitrate: up to 72.574 MBit/s. Alpha rolloff: 0.20, 0.25 and 0.35. Modulation Modes: QPSK, 8SPK, 16APSK and 32APSK. FEC Code Rates: 1/4, 1/3, 2/5, 1/2, 3/5, 2/3, 3/4, 4/5, 5/6, 8/9 and 9/10. Bitrate: up to 200.385 MBit/s. Modulation Modes: 8SPK and QAM16. DVB-ASI Input Connectors:75 Ohms BNC.